God Friended Me season 2 premiere date hopes: When will it air on CBS? With the season 1 finale airing tonight, what better time than the present to share some God Friended Me season 2 premiere date hopes? We’ll talk a little bit about that within this piece, while also getting into some story expectations as well. Let’s begin, though, with a simple reminder that there will be a season 2 for the Brandon Michael Hall – Violett Beane series. That news was first announced earlier this year — while God Friended Me has not necessarily set the television world on fire with its ratings, it has found itself a stable, consistent following and also has potential to grow that more as time goes by. This is actually one of our favorite examples of the little show that could. Because of the lack of star power with this show from the start (its biggest name is probably Scandal alum Joe Morton, unless you’re a huge fan of The Flash and know Beane from playing Jesse Quick), there were a lot of people who thought that this could be one of the earliest cancellations of the 2018-19 season. 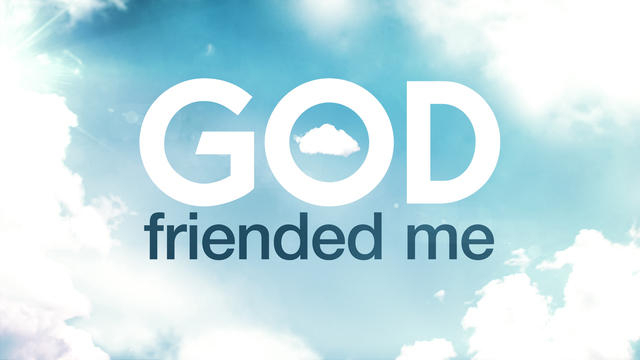 Yet, because of the quality of the writing and performances, God Friended Me persevered. It’s become such a pleasant breath of fresh air in a dark time — it’s an apolitical show about helping others and trying to have a little faith in the world. It can be seen as a religious show depending on your read of it, but it’s also one that appeals to everyone. As for when God Friended Me season 2 will actually premiere, the most likely scenario is that it premieres this fall in the same 8:00 p.m. Sunday timeslot that it did for the entirety of this season. We don’t see any particular reason why CBS would move it, given that it is such a perfect fit for this spot on the schedule. Topically, the story just makes sense on Sundays; plus, it works better at an earlier time when families can all sit around and collectively enjoy the show together. For some other insight right now regarding God Friended Me, be sure to check out some of the latest below! Also, remember to subscribe to CarterMatt on YouTube for more insight that you’re not going to want to miss. What do we want to see story-wise? We’ve said this before and we still stand by it — to us, the God Account mystery isn’t really the reason to watch the show. Instead, it’s more about watching Miles, Rakesh, and Cara help people and some of the relationships that they build and develop along the way. So long as the spirit and the tone of this series remain the same, that’s really the #1 thing that matters to us. We want to be able to keep enjoying this show and smiling about it at every possible opportunity. They can either introduce a new mystery or continue the God Account one, based on what happens tonight, but the skeleton of this series is better off remaining the same. Be sure to visit the link here right now! This is where you can see some more news and reviews on just about everything pertaining to the show.